Our solid ramps and versatile tools that can help you travel with your mobility scooter or power wheelchair. While they are ideal for permanent installation, they can also be moved to different locations if necessary. We even offer panel ramps that can be added to and expanded as your needs change. 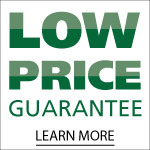 In addition, all of our ramps are ADA compliant, ship free of charge, and are covered by our Low Price Guarantee. To learn more about our products, call or visit our Lexington location today to speak with an expert who can match you up with the right ramps to fit all your needs. 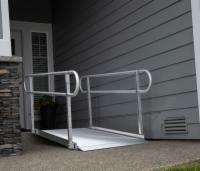 AmeriGlide and EZ-Access solid ramps are covered by a 3-year limited warranty. Prairie View (PVI) solid ramps and bariatric panel ramps are covered by a 1-year limited warranty. The ramps, platforms, and steps feature extruded, welded tread for reinforced strength and permanent slip-resistance. Corrosion-resistant aluminum allows years of maintenance-free use and is naturally non-combustible. Universal components allow installation to be quick and easy. The system can be reconfigured or relocated as needed, and can accommodate virtually any layout or configuration. To help eliminate costly delays, standard configurations ship within 24-hours. The TITAN is made in the USA and has a three-year warranty.